For anyone looking for deals and hard-to-find goods, eBay is one of the first places a shopper will go. After all, the global site has goods from all over the world with eager sellers looking to strike a deal with the right buyer. Like many of us, John Bell, a frequent eBay shopper, regularly looked to the auction site for nice deals on a variety of goods. He never expected that the day he decided to purchase, what he thought was a Vietnam War American army GI wristwatch, would be the beginning of months of headaches. Upon receiving his package in the post, it didn’t take long for Bell to realize that what purchased a counterfeit watch. What he ordered was supposed to be an antique costing $55 (£35), but as soon as he opened the package, the glass fell out and it was easy to detect that the item was not genuine. Unfortunately, by this time months had passed and eBay said that they were unable to take action with the case because too many months had passed since the purchase of the counterfeit watch. Although Bell continued to contact eBay to get his money back, the company avoided his demands for compensations by stating vague and varies policies. Essentially, Bell was not only scammed, he was completely out of luck. So where does Goods Digital Passport come in to this everyday scenario? The answer is simple. Prior to purchasing the item, John Bell could have asked the seller for the QR code to determine that the watch was, indeed, authentic. If the seller could not have supplied Bell with the code then he would have quickly known the item was a fake and moved on to search for genuine, authentic watches and avoided the headaches and hassle of attempting to get his money back. 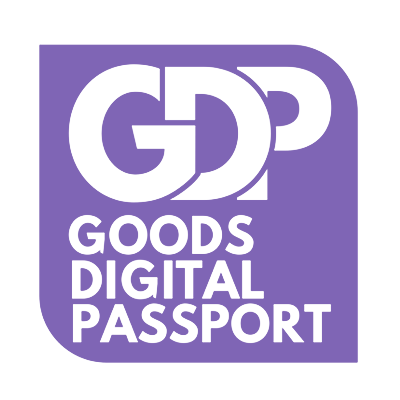 GDP is that simple and can be used on almost every product imaginable. From wristwatches to vehicles, artwork and apparel, there truly is no end to the possibilities.